According to the American Heart Association, staying hydrated is critical to your heart health and body function. As a camp director, you know that a long day of activities can easily lead to dehydration and a sick camper- which nobody wants! 1. Make sure they bring a reusable water bottle to camp. 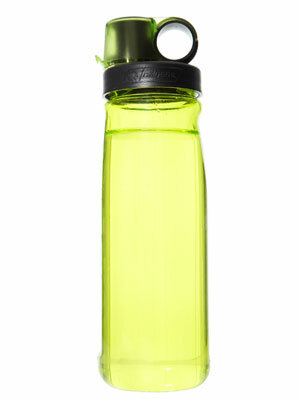 Reusable water bottles are a great item for any camper; they are easy to refill and are eco-friendly. Campers will be able to keep it with them for the whole duration of camp, and will be more likely to finish the water since they cant throw it away. 2. Have scheduled water breaks. It can be easy to forget to drink water when you're having a blast at camp. Scheduled water breaks can ensure that campers, and staff, are staying hydrated. 3. Make sure water is easily accessible. Be sure that if kids are thirsty or need to refill their water bottles that there are multiple places to re-hydrate. When you're away from a camp site, make a plan and be aware of where the nearest place is to get water- you might even want to bring your own cooler to be safe. 4. Keep coconut water on hand. In case a camper forgets to drink enough water, make sure to keep coconut water on hand. Coconut water is full of important electrolytes and nutrients that keep the body hydrated. How much water should campers drink? According to the American Heart Association, the amount of water a camper will need depends on weather and activity level. A general rule is that you should drink half of your body weight in ounces, however, when the weather is hot or your activity level is high it is advisable that you drink more. So drink up, stay safe, and enjoy camp! See the American Heart Association's "Staying Hydrated, Staying Healthy" for more advice. This page contains a single entry by KidsCamps Editor published on May 9, 2018 1:59 PM. Preparing Camp Staff for the Summer was the previous entry in this blog. Sun Safety is the next entry in this blog.